Columbus Day in New York is celebrated annually in October. The day was founded as a memorial to Christopher Columbus, the man who discovered America. 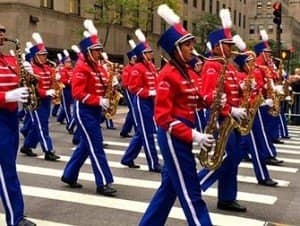 There is a big parade over Fifth Avenue in New York on every Columbus Day. Christopher Columbus (1451 – 1506), born in Italy, was an explorer and a sailor. He believed that there was a shorter route to the Indies and was financed by the Catholic Monarchs of Spain (Queen Isabella and King Ferdinand II of Aragon) to find it. So, Columbus took sail westwards with three ships from Spain. On the 12th of October 1492 Columbus saw America for the very first time. Upon arriving on American soil, he assumed he was in India, he therefore named the indigenous people Indians. The first memorial service for Columbus was held in 1792: 300 years after he had set foot in America. As Columbus was an Italian, the Italian-Americans see him as a hero and as part of their culture. This community has contributed significantly to the expansion of Columbus Day. 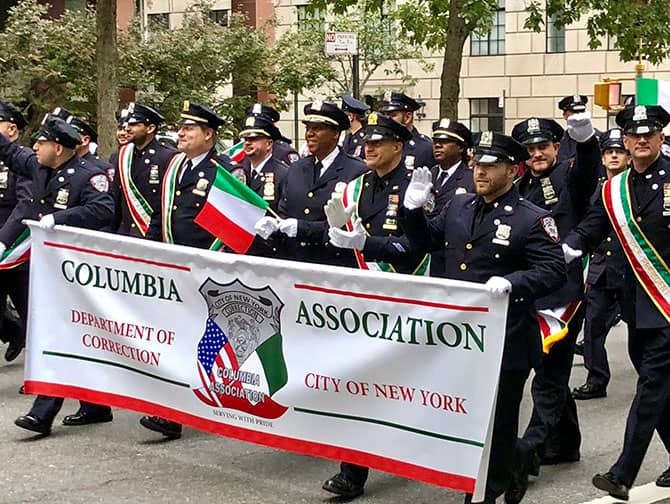 On the 12th of October 1866, the Italian community of New York threw a party to commemorate the discovery of America and the tradition of Columbus Day was born. A statue of Christopher Columbus was later erected on Columbus Avenue in 1892. Columbus Day falls on every second Monday in October, around the date when Christopher Columbus first set foot in America. In 2019 Columbus Day will be on the 14th of October. What is there to do on Columbus Day? 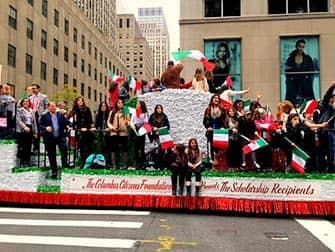 Columbus Day in New York is celebrated every year with a big parade: the Columbus Day Parade. 35,000 people participate including groups, bands, floats and marines. The parade attracts around a million visitors and another million people view the parade on TV! 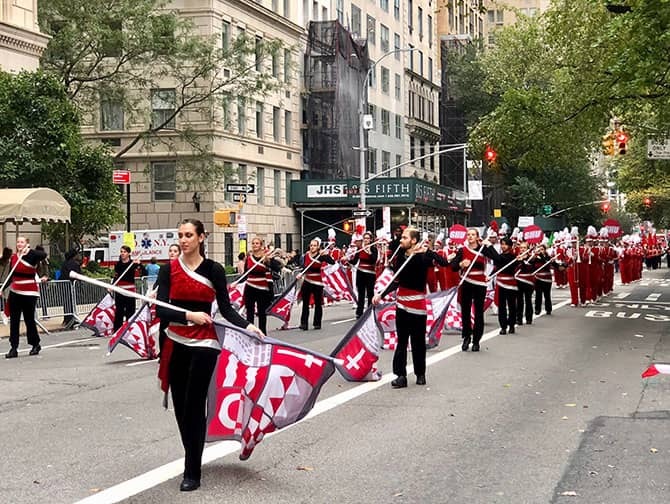 The parade starts on Fifth Avenue and 44th Street and heads north on Fifth Avenue towards 72nd Street. Make sure you have a good place to stand on Fifth Avenue. 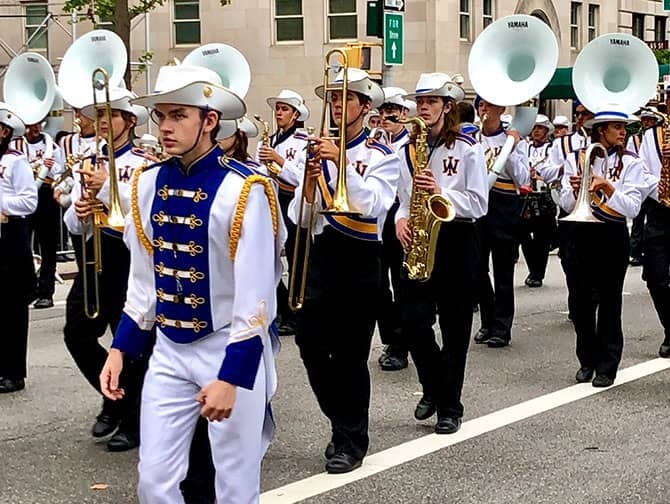 The parade starts at 11:30 and ends at 15:00. What can you expect on Columbus Day? Columbus day is a bank holiday. This means that schools and governments are closed. Expect it to be very busy around Fifth Avenue due to the parade. If you want to go shopping there, make sure you don’t schedule it on that day!